With the latest batch of figures sent to the printers earlier this week, I have been able to get back to work on the Faceless Oppressor range. I have now finished the basic trooper pack, though in a change from the original plan, this pack now contains four figures rather than three. 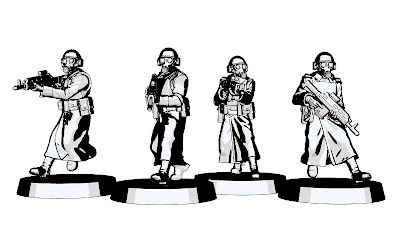 With the two NCO figures, this means six unique poses even before the Heavy Weapon troops are included. 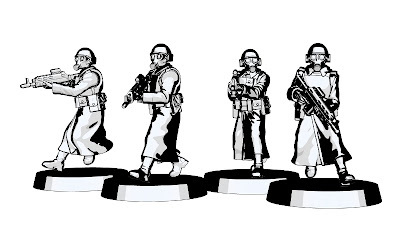 Each figure features a separate, poseable head and separate rifles which can be swapped with the weapons from the Special Weapon sprue - a flame thrower, grenade launcher, squad automatic weapon and an energy weapon. 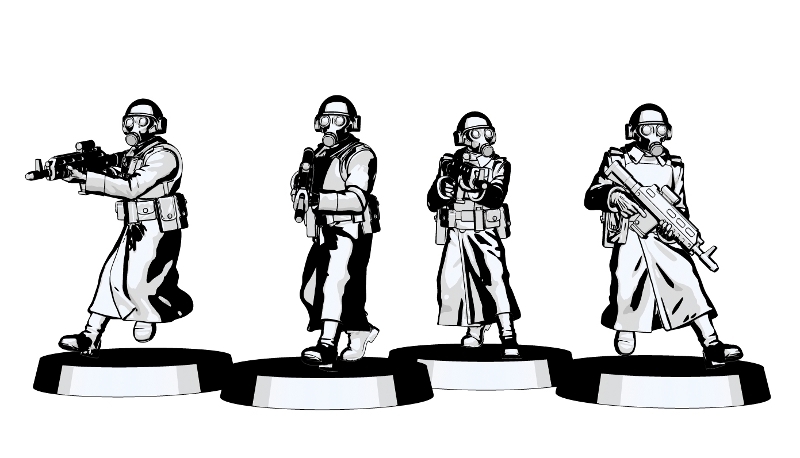 The renders show the figures on 25mm bases. Next I will be finishing the NCO pack of two figures. They are already posed and nearing completion. Each figure will have a separate head as with the troopers and two separate arms. The arms will be able to be used on both figures allowing plenty of variety. I also plan to make a sprue of NCO weapons, such as laser pistols, energy pistols and possibly some close-combat weapons. Any ideas as to what to include would be much appreciated! The original plan was to release the Troopers, NCOs and Heavy Weapon Teams at the same time. 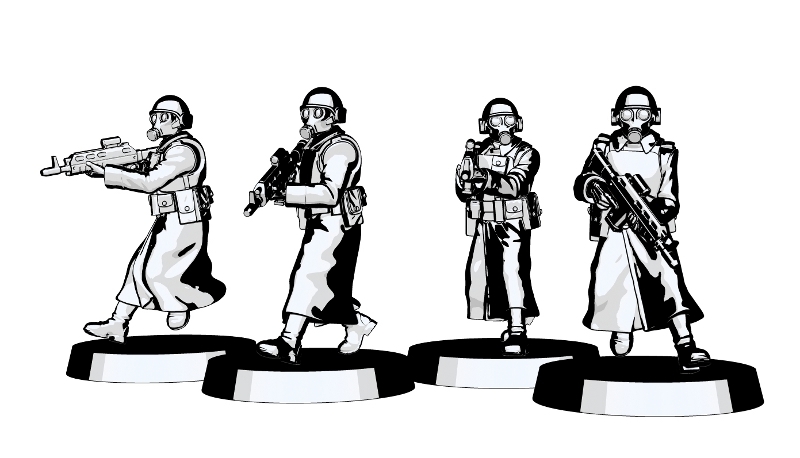 However, I think I will likely release the Troopers and NCOs first, giving me time to perfect the Heavy Weapon teams. It will be less of an outlay for me (and also for the customers!) but I intend to get the Heavy Weapon teams released as soon as possible after the initial launch. The launch is still a few months away, with plenty of Resistance Fighter goodness still to come before then, but I'm really pleased to have completed this first stage of the preparation! Looking forward to these faceless oppressors mate! long awaiting purchase!! any chance of a static pose like a sentry guard on the to do list? 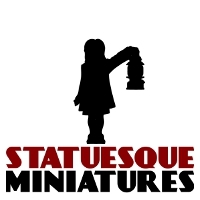 Statuesque @ Salute and FREE P&P Weekend! Are you going to Salute?